Chrono Master – this says it all. 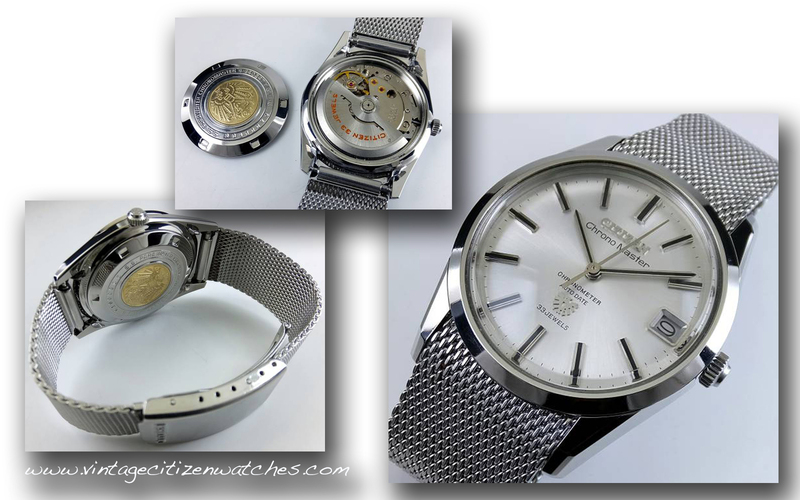 Chrono Master was, and still is, the most recognizable high grade line of Citizen, a real competitor for Grand Seiko and Swiss made watches. 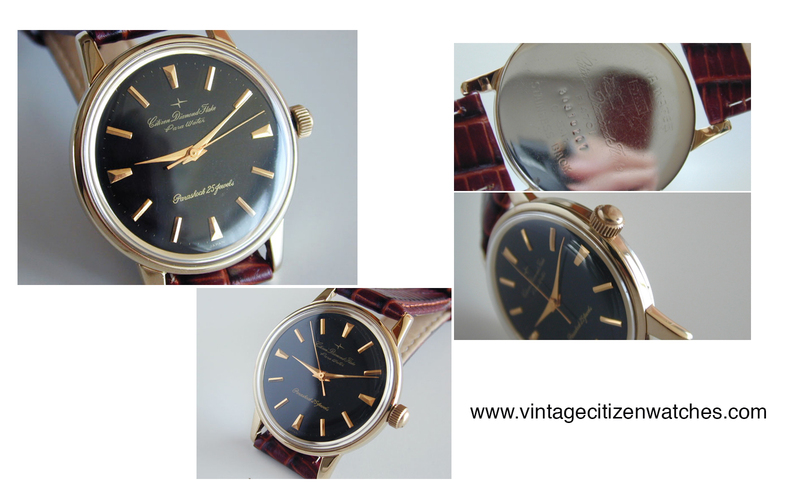 I love the look of this watch, elegant, yet casual, perfect for a suit as well for any daily attire. The case is made in stainless steel, having what I consider to be a perfect design. The lugs are beautifully designed and every detail shows the great care placed into drawing each line, each angle, each corner. The entire case is polished. The case back has a gold inlay medallion with an engraved eagle. 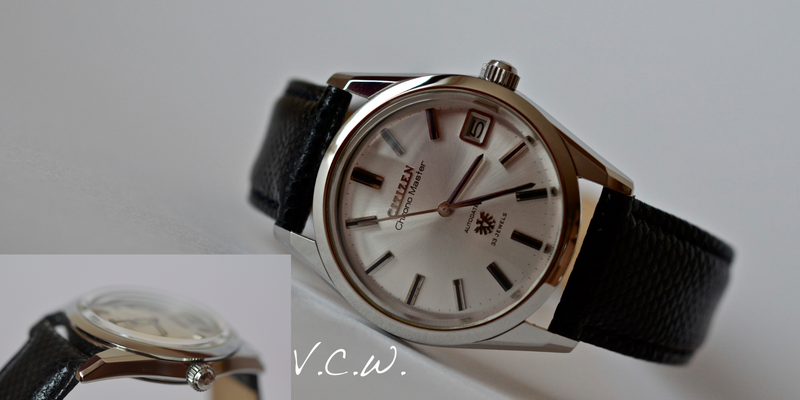 The winding crown is the right size and shape for the watch, signed “C”. 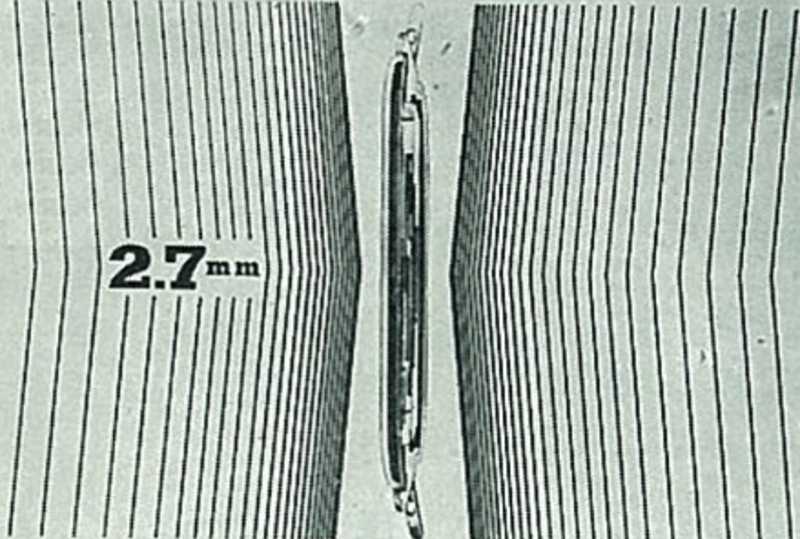 The mineral crystal is flat, sitting higher than the bezel. It’s angled edge makes the dial pop and bends the light is mysterious ways. The dial is silver, with an sunburst effect. Very clean and organized. 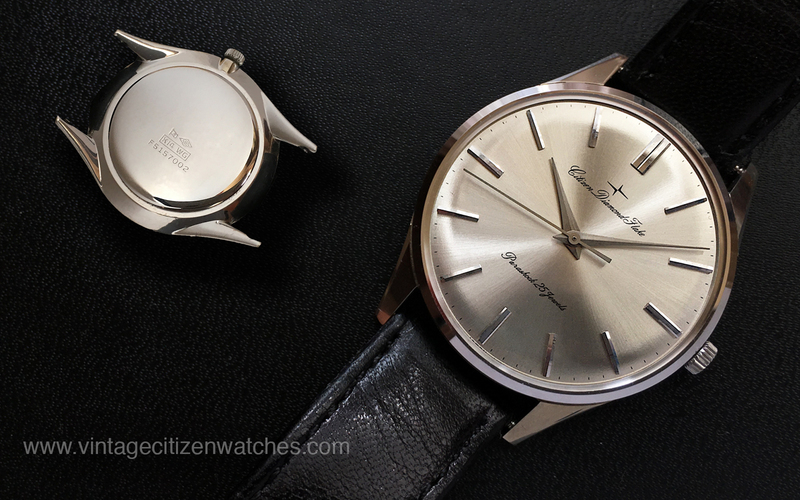 The hour markers, the date frame, the Citizen logo and the eagle logo are polished and applied with a lot of care. The details are impressive. 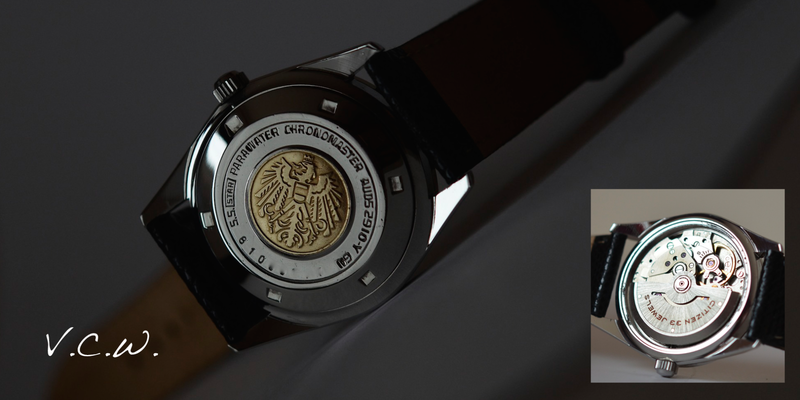 There is not much writing on the dial: “Chrono Master”, “Autodate” an “33 Jewels” – this all the information needed to see how this is not an ordinary Citizen. The hands are polished too matching the hour markers, having a longitudinal middle black line. 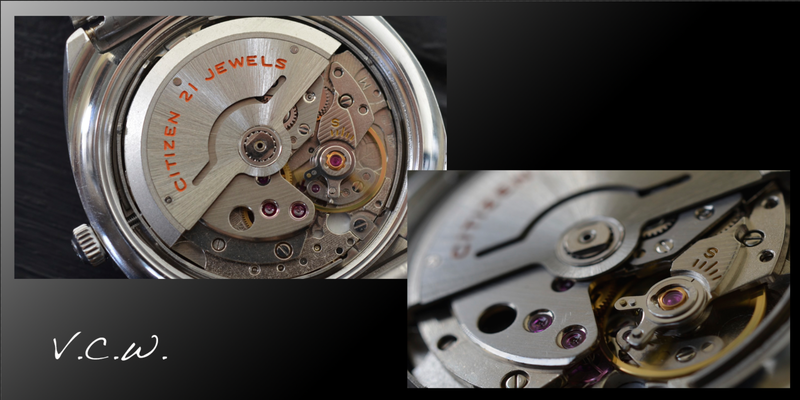 The movement is the Citizen calibre automatic 5440 with 33 jewels, beating at 18,000 bph. It can be also with a day (5450) or only date. The number of 33 jewels is high enough but not the highest. Some of these movements are also Chronometers, adjusted to a higher precision. This was possible by the adjuster positioned on the balance. The automatic movement can be winded by hand also. 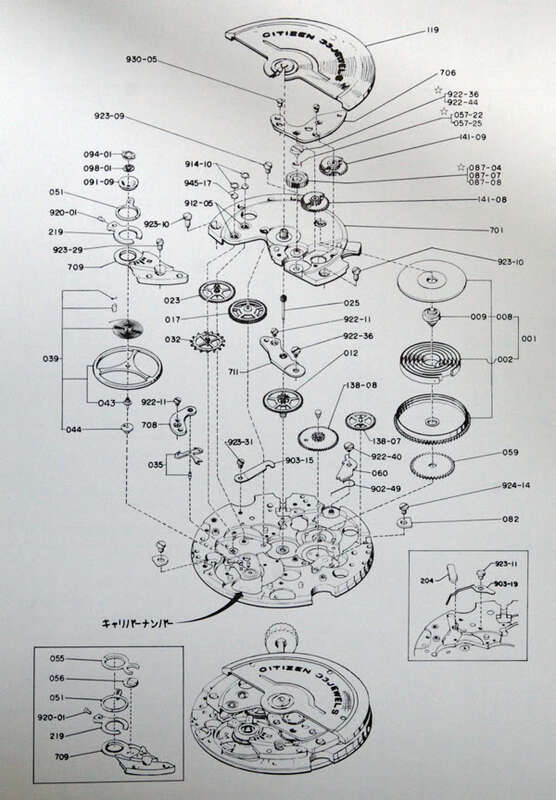 It is a quick set date, and it hack for better time setting. It is a beautifully made movement complimenting the overall design in a fortunate way. The movement print presented here is a part of Stephen’s scans of a Citizen catalogue. His work can be read here. The strap, in this case, is an aftermarket black snake with a sharp stainless steel custom made buckle. I think this suits the watch very well. 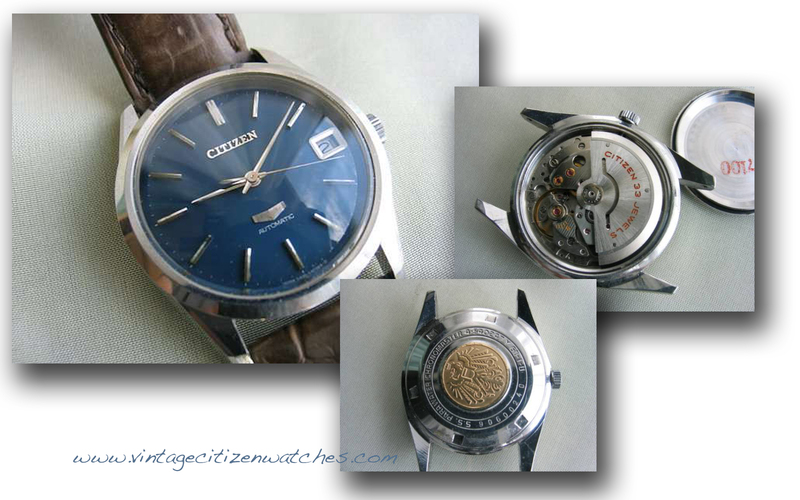 I wish I could find an original Citizen buckle of the era but I don’t have high hopes on that. Conclusion: Beautiful design, wonderful quality, great watch! 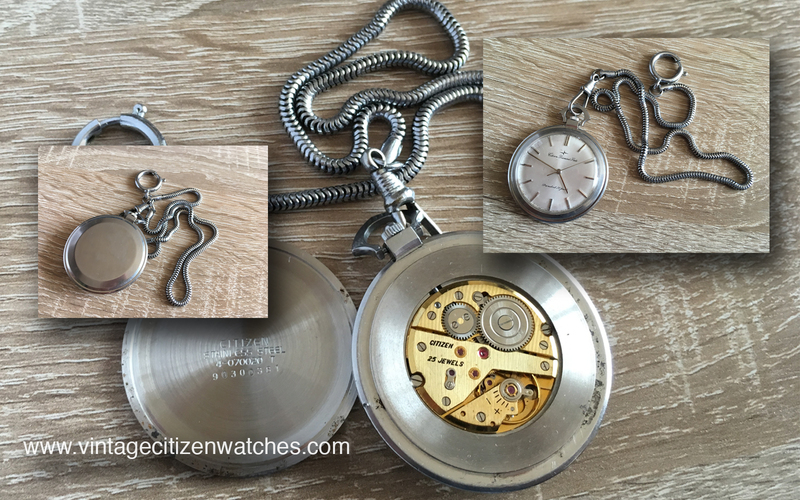 Every Citizen collection needs a Chrono Master!